Thank you for your interest in joining the dynamic team of facilitators of the Joint Learning Program (JLP). Below is a list of questions commonly asked by new or potential JLP facilitators. What are the roles and responsibilities of JLP facilitators? JLP facilitators work with a co-facilitator to deliver JLP workshops. Facilitators must deliver a minimum of five workshops to fulfill their commitment to the JLP. Once you have had your orientation session, you will be able to submit your name to facilitate upcoming workshops in your region. The Regional Field Coordinators (RFC) in your region choose a facilitation team from among those who have submitted their names for each workshop. JLP expects you to prepare carefully for each workshop. As part of your preparation, you will liaise with the RFCs and the workshop organizers in the department. The organizers will coordinate the administrative and logistical requirements for the workshop and can provide you with valuable information on the learners and their needs. Are all of the workshops co-facilitated? Yes. Every workshop is co-facilitated by one facilitator who represents the Union and by one who represents the Employer. Why does the JLP use the term "facilitator" rather than "trainer" or "instructor"? JLP workshops have been designed to foster dialogue between Union members and their supervisors and managers. The workshop leaders are not trainers but rather facilitators of a learning process. In order to create opportunities for dialogue and reflection, we use the methods of experiential learning and popular education. Facilitators guide learners through a series of exercises that promote participation, discussion, reflection, critical analysis and problem solving. Learners are encouraged to draw on their own knowledge and experience to discover answers and develop strategies and the focus of the workshop is always on "learning" rather than "teaching". So if we’re not "trainers" or "instructors", do we need to know the subject matter of JLP workshops? While you are not expected to be a subject matter "expert", you are expected to develop a sound knowledge of the topic being addressed by the workshop. Being comfortable with the subject matter allows you to more effectively draw on the knowledge in the room as you design and facilitate learning activities. To help you build your subject matter knowledge and prepare for workshop delivery, the JLP learning kits provide facilitators with notes, answer keys, handouts, links to various web sites and detailed explanations within each learning activity. How much preparation time is involved? As a general guideline, JLP suggests that facilitators plan to spend at least one day of preparation for every day of delivery. For a first workshop, a minimum of two days of preparation for a one-day workshop and three days for a two-day workshop is suggested. In practice, preparation time varies for every facilitator and for every workshop delivered. Some of the factors that will affect how long it takes to prepare include your familiarity with the kit material, whether you have previously worked with your co-facilitator, whether your co-facilitator has previously delivered this kit, how much photocopying needs to be done, etc. In addition, each workshop requires contact with the workshop organizers who can provide background information on the workplace. Organizers are also responsible for distributing Pre-Workshop Questionnaires (found in each learning kit) which allow you to gather additional input from the participants. This will allow you to amend your facilitation plan, if necessary, or to select the most appropriate scenarios and case studies for the group. What is an Public Service Alliance of Canada Facilitator? A Public Service Alliance of Canada Alliance (PSAC) Facilitator (AF) is someone who has completed the Alliance Facilitators’ Training Program (AFTP). 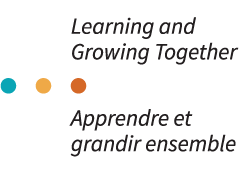 The goals of the course are to promote the Alliance Facilitators’ Network and strengthen PSAC locals through workplace and local-based union education. The AFTP develops members’ skills and self-confidence to undertake union education activities within their locals, their Components, and their regions. Participants explore how to identify learning needs, set learning objectives, facilitate discussions and develop workshops and seminars. Through practical exercises, participants learn how to choose and use various techniques and aids and how to foster positive group dynamics. They also learn the principles of popular and adult education and the elements of an effective learning experience. Respects and applies all PSAC policies in the conduct of their work as an AF. I would like to facilitate workshops but I do not wish to facilitate in my own department. Is that possible? Yes. In fact, some facilitators express a preference for facilitating outside their own department or agency, at least at the outset. Because facilitators volunteer for specific workshops, the sessions you deliver will depend on your interest and availability. For the most part, facilitators will deliver sessions within their home regions. JLP always tries to be cost effective in planning and delivering the workshops, so it limits travel time and expenses whenever it can. If I do have to travel, who will pay for my travel? Facilitators’ salaries (and overtime, if applicable) will be paid by their departments. All other costs will be paid by the JLP (e.g., facilitators’ travel expenses, rental of off-site facilities for workshops, printing and shipping of learning materials, etc.). Because salaries are paid by your home department, overtime is a matter for discussion between you and your supervisor. JLP encourages facilitators to travel and prepare during regular working hours. Do Union facilitators need to hold a Union position? No. A Union facilitator is a member in good standing of a bargaining agent whose application is supported by a bargaining agent. Some Union facilitators hold a Union position while others are general members. I am not a delegated manager. Can I still be an employer facilitator? Yes. Some employer facilitators are managers; others are selected by their organization to represent the Employer within the JLP. Employer facilitators must not be union activists, union representatives or members of union committees. Is it possible for a Union member to be an Employer facilitator? Yes. Many managers in the Public Service are, or have been, Union members. Employer facilitators cannot be currently active in the bargaining agent (for example, they cannot hold office, sit on bargaining agent committees, or facilitate bargaining agent events). What is a "support contact" and who qualifies as one? A support contact is someone who can confirm that the applicant will be a credible representative of the bargaining agent or the Employer. The support contact for Union facilitators will usually be a Union representative such as a bargaining agent staff or an elected Union officer. The support contact for Employer facilitators is often the applicant’s manager. When selecting a support contact, applicants usually choose someone who actively promotes the JLP and can support their efforts as facilitators. The support contact is not a personal reference or someone who comments on the applicant’s abilities as a facilitator. Why is an email sent to an applicant’s supervisor or manager? The success of the JLP depends on an active pool of volunteer facilitators who commit to delivering a minimum of five workshops. JLP has found that building positive relationships with your manager is a key factor in allowing you to fulfill your delivery commitment. The initial email to your manager and support contact outlines the benefits and responsibilities of JLP facilitation. If you are selected as a potential facilitator and invited to an orientation session, you and your manager will be asked to sign an agreement with the JLP so that the expectations are clear for everyone. I am not interested in delivering all of the JLP topics. Will you still consider my application? Absolutely. Many facilitators prefer to deliver only one of the workshop topics. Sometimes this is because the faciltiators have an interest or knowledge in one area; in other cases, facilitators have discovered that by focussing on one topic, they can reduce their preparation time and deliver more effective workshops. When JLP reviews your application, it does look at your workshop preferences in order to plan our orientation session. Once you have become a facilitator, it will be up to you to put your name forward for the workshops you would like to deliver. So you will always be able to change your workshop delivery preferences. Union and management at any level jointly submit an application to host a JLP workshop in their workplace. Once approved by the JLP, the workshop is posted on the JLP website and facilitators are invited to submit their names to deliver that workshop. Participants who are Union members and their managers are identified by the workshop organizers. Given that a key goal of joint learning is to improve union-management relations in the workplace, workshop participants often work together. JLP workshops are designed with this in mind, so they encourage participants to build relationships, practise their problem-solving skills and identify actions they can work on together to implement back in the workplace. Because of the participatory methods, each workshop should not exceed 20 participants. For most workshops, it is not necessary to have equal employee-employer representation. The ideal is to have a mixture of staff, Union supervisors and management representatives. What is a Union / Employer Support Contact? A support contact is someone who can confirm that the applicant will be a credible representative of a bargaining agent or the Employer. The support contact for Union facilitators will usually be a Union representative such as bargaining agent staff or an elected Union officer. The support contact for Employer facilitators is often the applicant’s manager. The support contact is not a personal reference or someone who comments on the applicant’s abilities as a facilitator. What are the organizers’ responsibilities and what are the facilitators’ responsibilities? Facilitators and organizers work together to create successful workshops, so they are encouraged to contact each other early in the planning process. Each workshop has two organizers - one named by the Union and one named by the department/agency. Organizers find the facilities for the workshop, arrange for refreshments (if applicable), recruit and select participants, and generally look after the logistics. Organizers are also responsible for distributing the Pre-Workshop Questionnaires. Facilitators are responsible for all the learning aspects of workshop planning and delivery. Who makes the photocopies and prepares other learning materials? The co-facilitators are responsible for all learning materials. (When possible, we encourage facilitators to use photocopiers in their workplace to prepare photocopies.) In some cases, organizers may be able to assist with photocopying, but this is generally the responsibility of the facilitators. The JLP will ship some materials such as tent cards to the workshop location. How do the Regional Field Coordinators select the facilitation team? When selecting the team for each workshop, RFC consider factors such as the facilitators’ previous experience, availability, costs and equitable distribution of facilitation assignments. For Respect Differences/Anti-Discrimination workshops, there is an additional requirement that each facilitation team must include a member of a group that has been historically disadvantaged in Canadian society and continues to face discrimination in the workplace. As well, both facilitators must be committed to the elimination of discrimination in all its forms and have experience with diversity and anti-oppression work. Why is there an additional experience requirement for delivery of Respecting Differences/Anti-Discrimination? What does "experience with diversity/anti-discrimination work" mean? Facilitating in what can be an emotionally charged environment requires skillful facilitation and a high degree of sensitivity and respect. Facilitators will need to rely on their own knowledge and experience to not only create a safe, supportive yet challenging environment but also to respond appropriately by drawing on their own analysis of discrimination and anti-discrimination when faced with difficult or potentially difficult group dynamics. Experience with diversity and anti-oppression work might have been developed through direct experience with discrimination, by taking courses and reading about privilege, racism, homophobia and other human rights issues or through involvement in an employment equity committee or delivering diversity training. Will I be working with the same co-facilitator for different workshops? No. While some facilitators do ask to be partnered for more than one workshop, most facilitators enjoy working with different co-facilitators. When I am delivering a workshop, what kind of leave should I take? When you are delivering a workshop, you are not on leave. You are working, even though you are away from your usual workplace. If you have to travel, your department will expect you to complete a Travel Authorization for insurance purposes. What I do I need to do to deliver the Mental Health in the Workplace workshop? Facilitators interested in delivering this workshop are required to be certified in Mental Health First Aid and/or previously attended a JLP Mental Health in the Workplace Clinic. If you would like to be considered to facilitate this workshop, please contact your RFC. All potential JLP facilitators will participate in a five-day facilitator orientation session where they are introduced to the methods of experiential learning and a maximum of two JLP learning kits. Following the orientation, RFC try to ensure that new facilitators are paired with a more experienced facilitator for their first workshop delivery. Within each region, facilitator clinics are held periodically with existing JLP facilitators to either introduce additional learning kits or to provide opportunities for skill development. Other JLP facilitators are also an important source of support. The password-protected area of the JLP website contains contact lists for other JLP facilitators and you are encouraged you to share ideas and materials with each other. You will also find the learning kits and other support materials that you can download. I have a lot of previous facilitation experience. Am I still required to attend the orientation session? Yes. JLP requires all potential facilitators to attend the JLP orientation session. If you have general questions about the JLP, please contact your RFC. If you have technical questions about completing the application form, please contact 613-560-2595 or jlp-pam@psac-afpc.com.